Gap Protection @ Vella’s Auto Vaughan Used Car Dealer ON. A full-term protection program for new & pre-owned vehicles to help protect you and your credit rating. Insurance coverage that protects you when there is a total loss of your vehicle. The difference between your primary insurance settlement and the amount still owing to your financial institution is known as the “GAP”. This typically represents thousands of dollars on a total loss of your vehicle. 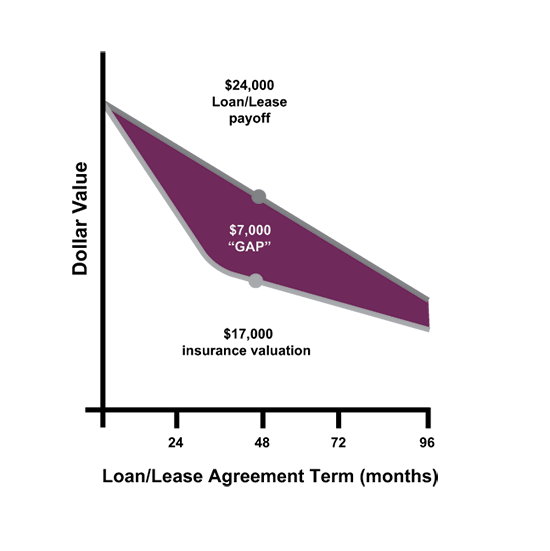 Total Loss Protection makes the “GAP” payment for you plus covers your deductible up to $1,000.